I’m sure you’ve heard, many times over, the laments of 2016 – and they are much-deserved! 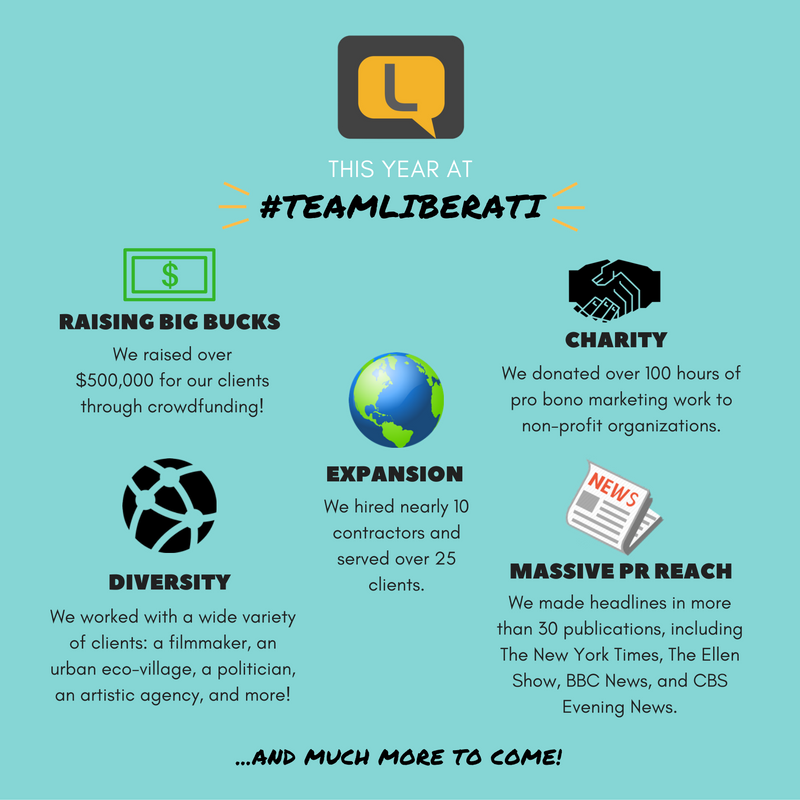 Team Liberati would like to welcome you into 2017 with something to look forward to because here at Liberati, we are feeling ready for what’s ahead! We have a slew of dazzling new clients whose missions are heart-warming, humanitarian, and game-changing. We are ready to shift the attention to the grand good many of us are manifesting each day. It is such an honor for us to be messengers for this uplifting work and we want you all to brace yourselves for the unexpected and the necessary. We hereby declare the year of 2017 to be a year of healing, of hard work, and community! Before we say our final good riddance – I mean goodbye – to 2016, let us recount the good of that year to uplift our spirits and walk into the new year on a positive note. Check out our graphic below for highlights from 2016!